What is a Coombs ? What would you do ! I would like to introduce you to a beautiful Mk2, owned by David Turner of San Diego, CA. The photo was taken in March 2009 and his car is a 1964 3.8, right hand drive, manual with overdrive. It was originally delivered to Bryson's in Sydney, NSW in April 1964. 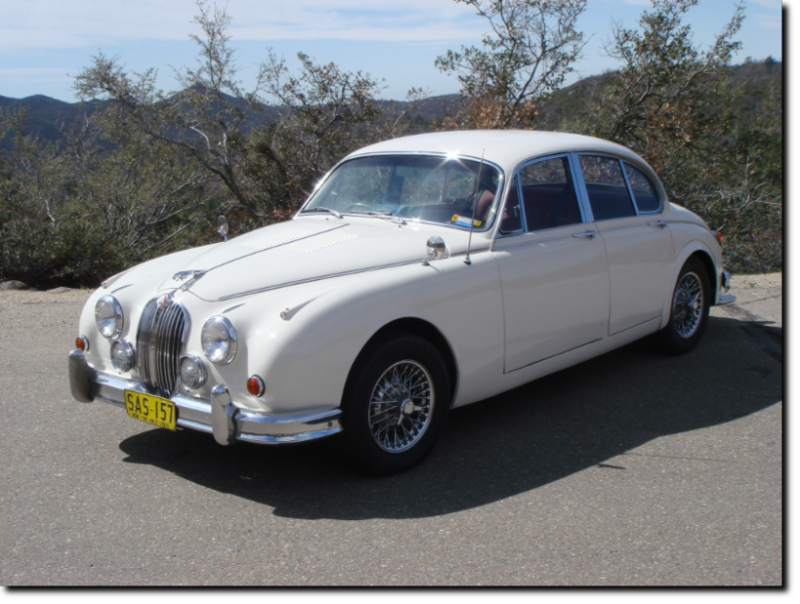 David believes his car spent most of it's life in Sydney until he purchased it in 2003 and brought it to San Diego. He is in the process of making it a Coombs spec re-creation. So far he has added Coombs rear wheel arches, HD-8 carbs, and a louvered bonnet. He is currently looking for an air spreader for the carburators.